Excited to get up since the forecast was for low winds this morning. Got down to the beach by 8:45am and there were some crowds but not nearly as much as last weekend. Chatted with Rick and asked him about ding repairs and sanding (after getting my 7’4 and Max’s board back from Sunset) and it turns out we were right to expect that it would be wet-sanded and buffed to a gloss again. The south end looked pretty chill after yesterday and we headed out towards boat docks through the thick kelp. Not much of a crowd there. A tiny kid being pushed off by his Dad got a sweet left down the line. A guy on a brown longboard was running to the nose. Both of us caught some fun lefts over there. Shifting peaks but managed to catch a few before Max started to get cold in his shortie. The water did seem a lot colder to me too. I paddled north of the rivermouth to see what was happening over there. Saw Karen catch one inside south of me. Missed a couple and was farther inside when a good one came through and no-one else turned for it. Paddled right, caught it and went down the line for a bit before straightening out to shore. Max saw that one from the beach. Yay. 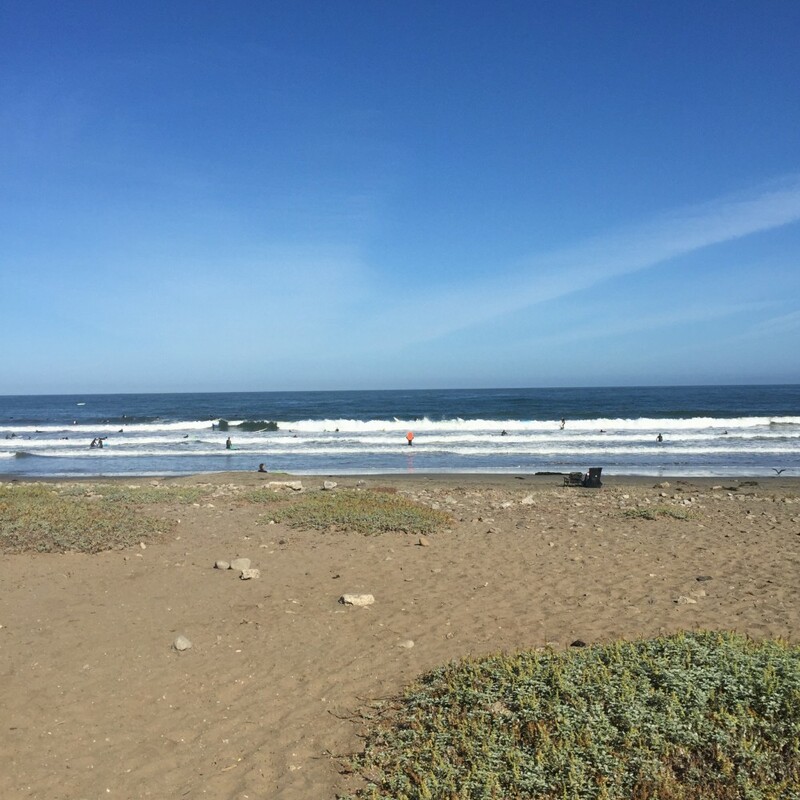 Afternoon Report for SF-San Mateo County: The surf still looks pretty fun this afternoon. Onshore wind has come up out of the W in the 6-9kt range, putting a light+ bump on the water, but it’s very rideable and a nice day. Our primary swells are long period SW and short period NW, although there are a few other pulses ranging in direction from NW to SE running as well. 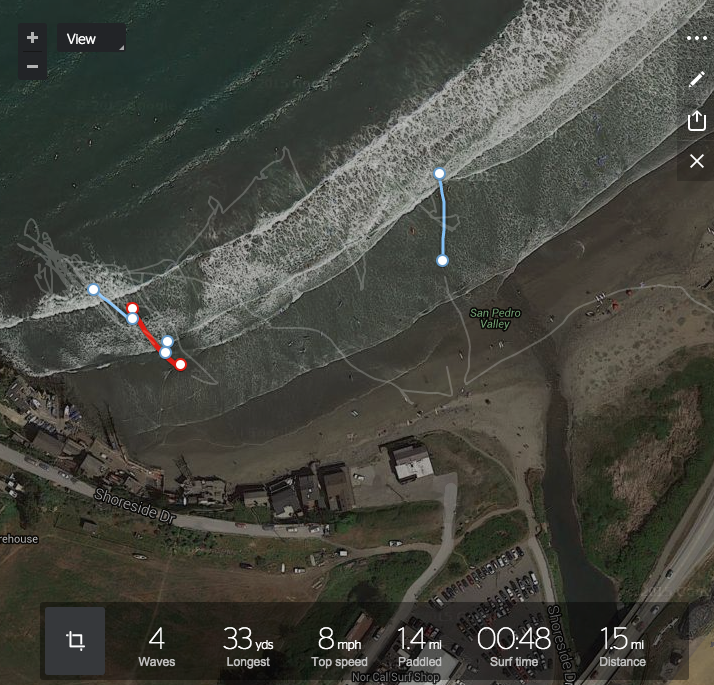 Many breaks in the region are working the combo for surf in the 3-4-5′ range on the face, with some plus sets at best spots.